This system was visited for the first time on EDSM by Klutz on Sep 11, 2016, 10:10:10 PM. 285 ships passed through HD 49368 space, including 2 ships in the last 7 days. 1 ship passed through HD 49368 space in the last 24 hours. HD 49368 is a dying S-Class star, so bloated that the system's two innermost worlds (Obolus or Danake) sit within its outer Corona. 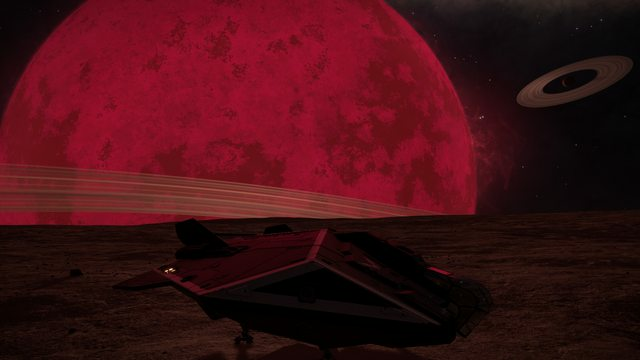 To visit these two ringed high gravity worlds you will need to use heat sinks to land there. Danake (Planet 2) was used as the first basecamp during the Distant Stars Expedition in January 3303.